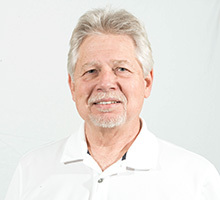 Richard Braniff, PhD, LCSW, LPC-S is an individual and family therapist in private practice in the Baton Rouge area. His practice integrates professional counseling with Christian values. In this context, he works with a person’s behavior, emotions, values, beliefs, and spirituality as he helps the individual pursue a meaningful and valued life. He currently serves as a group therapist and clinical consultant to the Dual Diagnosis Intensive Outpatient Program at Jefferson Oaks Behavioral Health, Inc. Additionally, he facilitates an Anxiety group, provides clinical supervision for Provisional Licensed Professional Counselors, conducts a supervision group for graduate social work and counseling interns, leads a weekly process group for interns, and conducts in-service training workshops. Dr. Braniff has extensive experience in mental health counseling, family counseling, marital and relationship counseling, and treatment for addictive disorders. He has served as an adjunct faculty member in the University of New Orleans Counseling Graduate Program, a full-time faculty member in the Social Work Program of Department of Counseling and Human Development at Southeastern Louisiana University, and an adjunct faculty member of the Louisiana State University School of Social Work. He also worked as the Drug Court Coordinator and clinical consultant for the 19th JDC in Baton Rouge, LA. Although his approach is multimodal, he uses Acceptance and Commitment Therapy (ACT), Solution Focused Therapy, Cognitive-Behavioral Therapy, Family Systems theory, and 12 Step Facilitation to address the biopsychosocial factors that contribute to and maintain dual diagnoses conditions. Dr. Braniff is the owner of Counselor Effectiveness Seminars, a provider of continuing education programs for helping professionals. He is a Certified Trainer in Louisiana and Mississippi for the Substance Abuse Subtle Screening Inventory (SASSI).